This morning Huskie Robotics, FIRST Team 3601, left for Duluth, Minnesota with 27 students to compete in the Lake Superior Regional of the FIRST Robotics Competition. 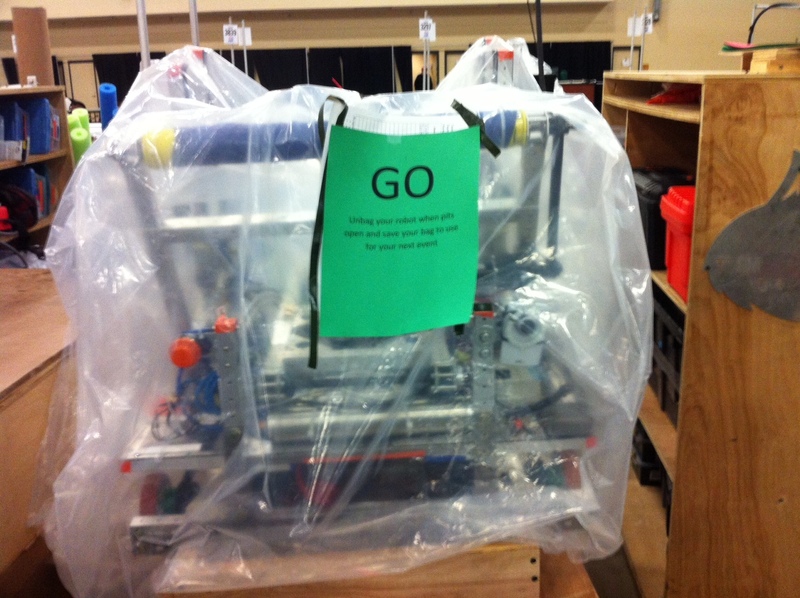 We spend most of the day driving and then unloaded our equipment and robot into the “pits.” The robot was sealed in a bag on “stop-build day” which was February 18th. I was relieved and surprised that before we left our pit, the inspector had checked our paperwork and cleared our robot to be unbagged first thing tomorrow morning!